Tell me... how many of your delicate clothing items have you ruined in your washing machine? I've lost count. Even when using the Delicate Cycle it happens. Bras get wrapped around the agitator arm, hooks get caught in other clothes (and often get pulled out), and straps get pulled, tugged, and lose their elasticity. Of course, if you've ever been in a hurry and tossed hosiery, tights, or special lingerie in the washer... well... it's just hopeless at that point. Chalk it up to a loss and head down to the boutique for replacements. 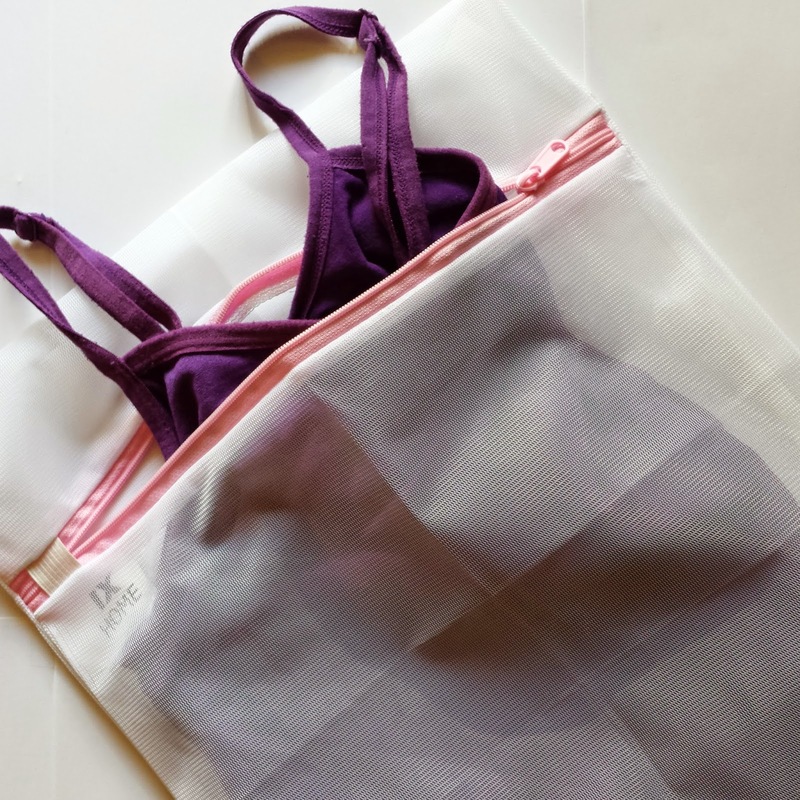 When given the opportunity to try the new Lingerie bag for laundry from Ixbetterhome, I was absolutely delighted! As you can imagine, the next load of laundry I washed just for myself, I used it! I'm really pleased with the results. The WashGuard Lingerie Bag easily held two bras and I could probably have fit a third in it as well. It also held Happy Husband's two wrist braces. Big Plus! Please look closely at the photo directly above. Do you see the small elastic strap covering the zipper? That's a HUGE difference from most laundry bags that have zippers or draw-strings. Fill the laundry bag, zip it closed and then run the pull tab underneath that elastic strap. Voila! The zipper is secured until you unzip it! I love it that the laundry bag can be tossed in the dryer, too. 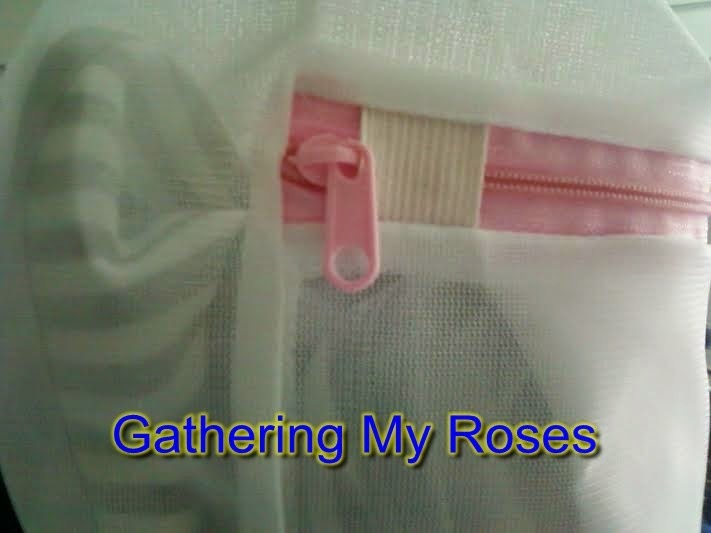 It makes my life easier and definitely extends the life of my delicate clothing. 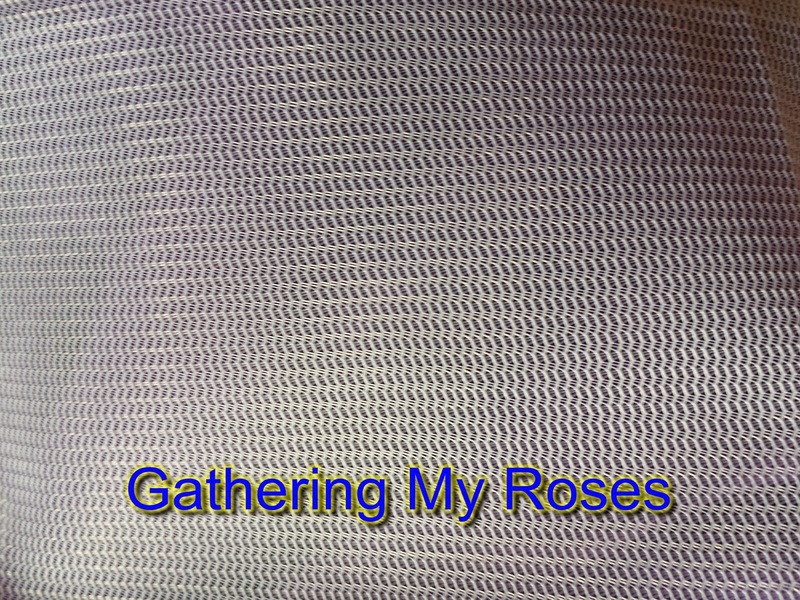 The photo above shows a close up of the fine mesh of the bag. It allows water and detergent to penetrate through to the clothing, but nothing else can get through! No snags, no tears. It's fantastic. The fabric of the bag is quite sturdy and non-abrasive. It stretches so you can really load it up! This is a very high quality bag and you will get years of use from it. This specially constructed wash bag is made of a high quality polyester mesh blend that protects fabric and causes no abrasion from the bag itself. Save the cost of replacing your garments because of damage or excessive wear due to washing, even on the delicate cycle and NEVER deal with knotted hosiery again. 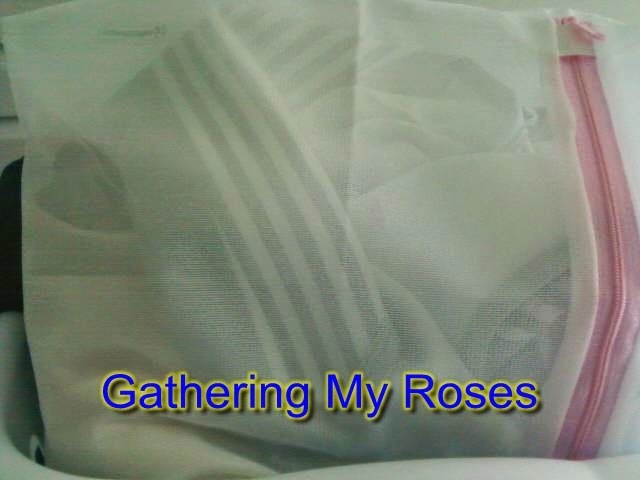 Our large bag measures approximately 15 x 20 inches, great for everything our medium bag is designed for as well as sweaters, small throws, fine bedding (pillow cases, shams, dust ruffles or sheets), baby blankets and more. 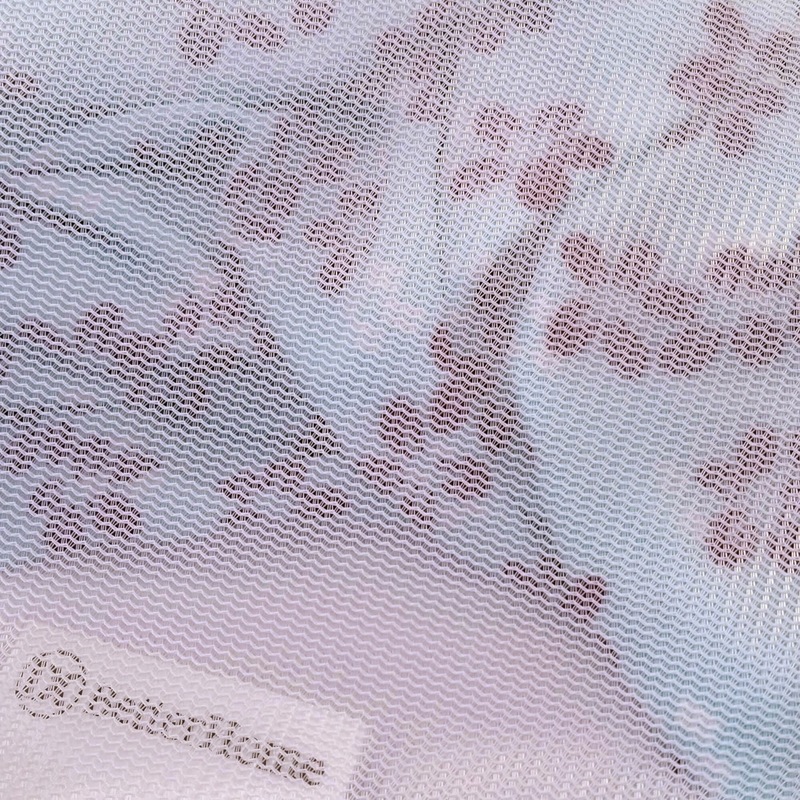 *RISK FREE* Your product is protected by our exclusive IxBetterHome guarantee - You will love these premium lingerie wash bags or your money back. THIS BUSINESS SERVES YOU FIRST. You may purchase the WashGuard Lingerie Bag for Laundry through Amazon.com, it retails for approx. $6.99. Facebook, Pinterest, Tumblr, Google+, LinkedIn, YouTube, and @IXBetterHome on Twitter. The fine folks at IXBetterHome have generously offered one of my readers the same WashGuard Lingerie Bag that I received! Open to USA, 18+, No PO Boxes, please. Giveaway ends on March 14, 2015. I would try the bra wash bag. I would like to try Screen Joy – Screen Cleaner for All Electronics too. I would like to try the Screen Joy Microfiber Cloths. who could not use the screen joy sets? We ALL have many many newage screens! You cannot use normal old rags on them. I would like to try the Screen Joy – Screen Cleaner for All Electronics. I could use those screen joy cleaners. I'd like to try the Screen Joy Microfiber Cloths. I would also like to try and could really use the Screen Joy™ Microfiber Cloths 3 Pack. I would love to have their Bra Wash Bag - Medium 2 Pack. I would like to try the Screen Joy cleaner. I like the Bra Wash Bag. I'd also love the bra wash bag so my bras don't get all deformed! I could really use the Screen Joy product! I like the Bra Wash Bag – Medium 2 Pack. I would like to try the Screen Joy™ Microfiber Cloths. I'd try the bra wash bag. I like all the products :) but ok,i like the 3 Pack Microfiber Cloths. I'd like to try the Bra Wash Bag – Medium 1 Pack. i would like to also try the screen joy screen cleaner! I could use the bra wash bag. I would like to have more than one, so I would like the Lingerie Wash Bag – Large 2 Pack. I would also love to try the Screen Joy™ Microfiber Cloths. I like the Screen Joy™ Microfiber Cloths.